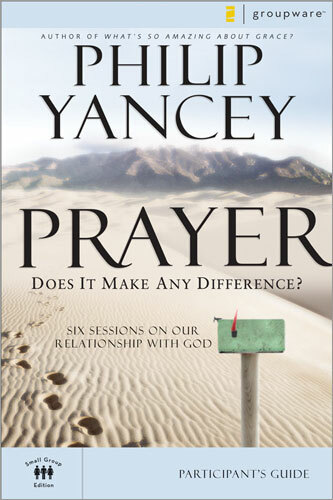 In this six-session ZondervanGroupware™ video curriculum, award-winning author Philip Yancey probes the very heartbeat—the most fundamental, challenging, perplexing, and deeply rewarding aspect—of our relationship with God: prayer. What is prayer? How does it work? And more importantly, does it work? In theory, prayer is the essential human act, a priceless point of contact between us and the God of the universe. In practice, prayer is often frustrating, confusing, and fraught with mystery. Prayer: Does It Make Any Difference? is an exploration of the mysterious intersection where God and humans meet and relate. 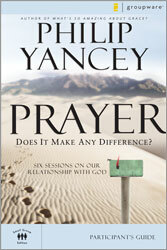 Yancey explores such questions as: •Is God listening? •Why should God care about me? •If God knows everything, what’s the point of prayer? •Why do answers to prayer seem so inconsistent and capricious? •Why does God seem sometimes close and sometimes far away? •How can I make prayer more satisfying? The Prayer DVD and Prayer participant’s guide are available separately.